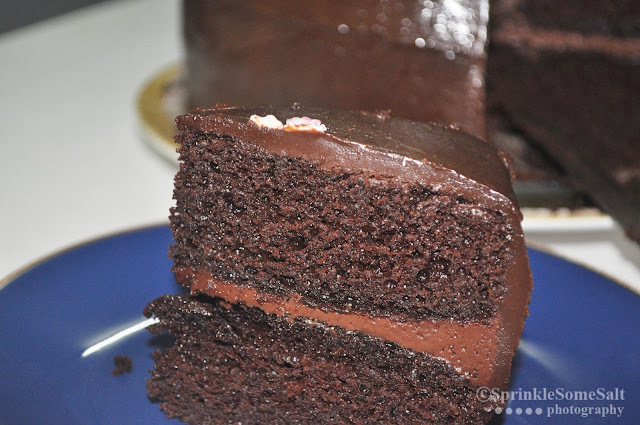 This is by far the best moist chocolate cake I have baked. 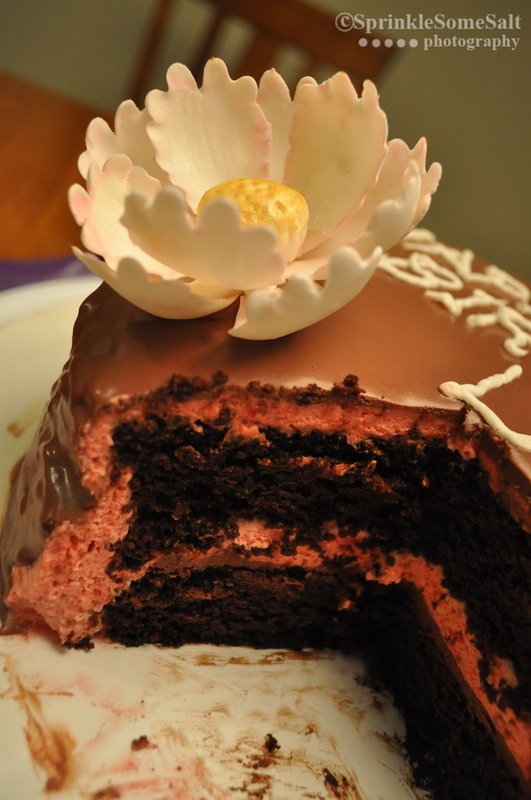 The recipe is adapted from "The Art Of The Dessert" by Ann Amernick. The above cake we made was for giving a surprise birthday celebration to Liesel. Riya, Liesel and Narin were coming to our place to have a small reunion after almost a decade. 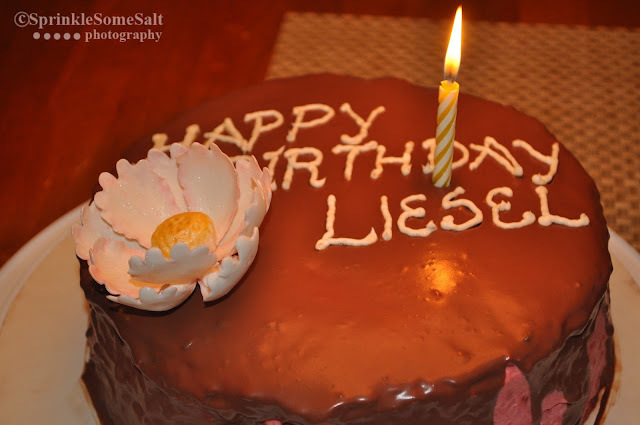 Liesel's bday was coming on the following week so we had this surprise bday celebration for her. We even called Diya and Lakshmi on skype to complete the group :) And it is Diya on the phone screen in the below photos. We were all roommates during our college time. And we used to have this surprise b'day celebration in our room for all birthdays.Those hostel days were some of the most beautiful fun days in my life. And to meet Riya, Liesel and Narin after so long was so much fun! 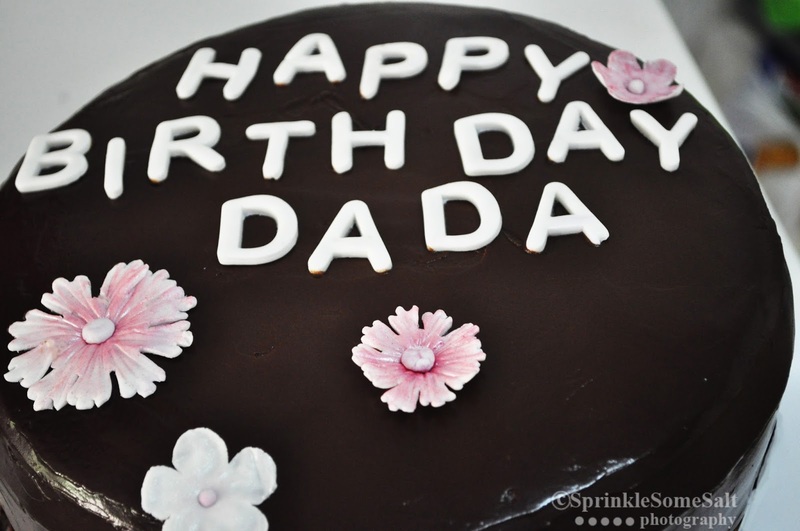 The same cake recipe was used to make Anjan's Birthday cake last year. Chocolate ganache was used for cake filling and frosting. Whisk the egg mixture with the dry mixture till the batter is smooth, scraping the sides with a rubber spatula. Let the cake cool on a wire rack in the pan for 10 minutes and then invert them on to the rack to remove parchment paper. The cakes can be filled and frosted now or can be wrapped tightly in a cling wrap and frozen for upto a month.